During its test drives on Indian roads, a number of car enthusiasts have spotted the facelifted version of the Renault Fluence. It can be concluded that since the facelifted sedan has been spotted on the road early in the month of July, the production of the car must have already started and is expected to be revealed by 2014. Its debut is scheduled to be held at the Indian Auto Expo 2014 in Noida. Renault has given a clear indication that the company is not planning to launch any new car in the Indian automobile market. It would rather launch the facelifted versions of the cars that are already in the market. Some of these cars are Koleos, Duster and Fluence. By the end of 2012, the facelifted version of the Fluence had been revealed at the Istanbul Auto Show. The car seemed to have done extremely well in the European market with the company getting orders even before the car getting launched. The new and updated version of the Renault Fluence has a number of changes compared to its previous model. The 2014 sedan features a new front bumper along with redesigned headlamps. Just like all the new cars, these new headlamps are also LED headlamps which give the car an appealing look. 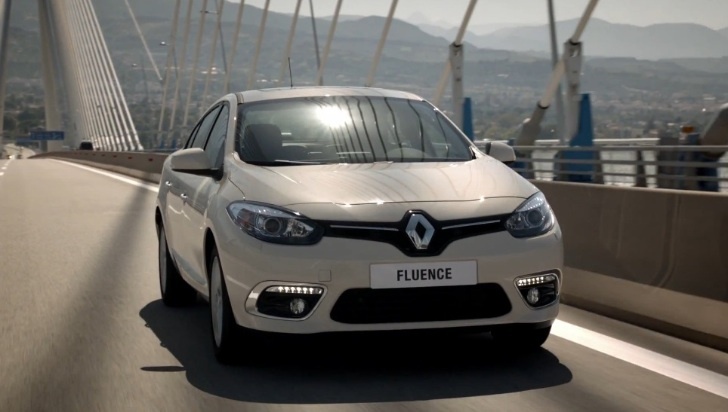 Most of the changes in Fluence are from the exterior, while the interiors are considered to be more or less the same. The top model of the car offers a new integrated navigation system. Customers will have the option of choosing between the 2-litre petrol and the 1.5-litre diesel engine, which are the only two variants the company will be offering.